The holidays are a magical time of year when friends and family gather together to celebrate and give thanks for the many blessings in their lives and Shreveport – Bossier offers so many delightful opportunities to revel in the spirit of the season. Unfortunately, it’s also a time of increased risk around our homes. With proper planning and preparation you can save yourself the potential headaches and hassle of unexpected issues by making sure that your home is holiday ready. 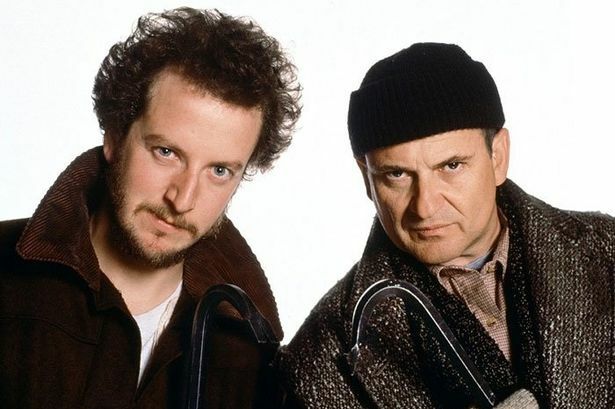 Between Thanksgiving and New Year’s Day thefts, burglaries, and property crimes increase. By taking some simple precautions you improve your chances of criminals taking a pass on your home this season. When leaving your home for any amount of time, be extra cautious and make sure your doors and windows are secured. Leave the stereo or TV on so your home sounds occupied while you’re out. If you set your Christmas tree up near a window make sure gifts aren’t visible. Avoid placing empty boxes from gifts where thieves can see them. Break down your boxes before you put them in your trash receptacle or dispose of them elsewhere. Don’t leave valuables and packages in your car when it’s not secured in a garage. Have a family member or trusted neighbor watch your house and pick up your mail daily. Be sure and let neighbors know if anyone will be stopping by while you’re gone to avoid uncomfortable confrontations. Set outdoor and indoor lights on automatic timers and vary the timers so thieves can’t distinguish a pattern. Avoid posting your holiday travel plans on social media which could let potential criminals know you’re not home. If you have to share be extra cautious. Consider hiring a house sitter. Ask friends and family for recommendations and be sure to interview potential candidates prior to hiring to make sure you’re comfortable with them in your home. Unfortunately, statistics show that incidents of home fires and electrical accidents typically increase during winter months. 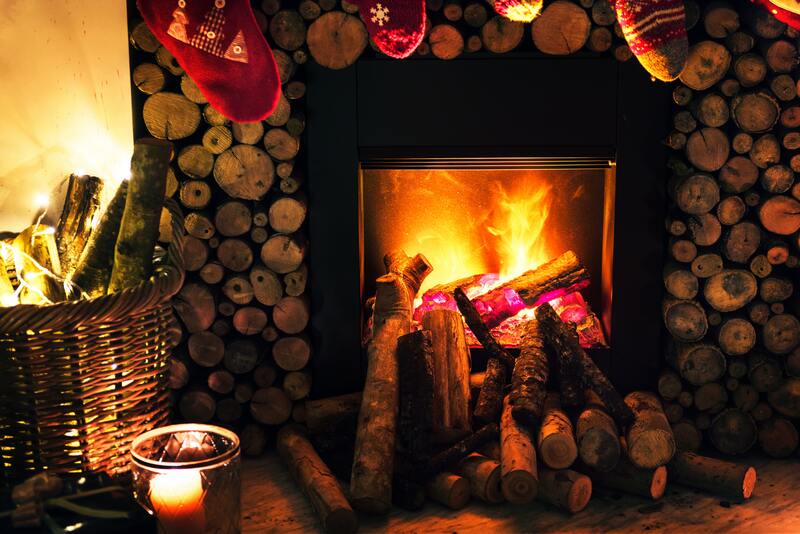 Take steps to protect your family and home from holiday season fires with these tips. Be sure to install light bulbs and extension cords rated for outdoor use. Try to place the bulbs away from all materials that ignite easily. Don’t overload electrical circuits or extension cords. Replace any strings of lights that have worn or broken cords or loose bulb connections. Purchase LED lights that have a label from a recognized testing organization and always follow the instructions on the labels regarding the installation of lights and cords. Leaving holiday lights on all the time not only drives up your electric bill, it increases your risk of something going wrong. Put indoor and outdoor lights on a timer so you don’t have to remember to turn them off every night. If you are planning on using your fireplace, hire a professional chimney sweep to clean out all the dust and ash to help prevent a chimney fire. Make sure decorations like stockings and greenery are a safe distance away when decorating around the fireplace. If you choose a live tree be sure and water it regularly to avoid drying out early and basically becoming kindling. Don’t place your Christmas tree or wrapped presents near a lit fireplace. Never leave lit candles unattended; better yet, invest in battery operated LED candles for the same beautiful glow without the potential fire hazard. Keep a fire extinguisher (or two) easily accessible; make sure everyone in the family knows where it is and how to use it. Leave the turkey frying to the professionals. If you just have to do it, check out these safety tips. For many, the holiday’s mean long visits from family and friends. Before your guests arrive, follow these tips to make sure your home is a safe and healthy place for everyone. Make sure your walk-ways and entries are well lit and free of obstacles. Place a bath mat on the floor and non-slip decals/stickers on shower floors to help prevent slips in the bathroom. Child-proof your home with easy to install and temporary grip-and-twist door knob covers, latches, plug protectors, and a heat-resistant oven lock. Corral wires and cables to help protect against trips and falls. Make sure overnight guests know where to park to avoid annoying your neighbors and make sure they remove valuables and lock their vehicles. Practice self-care! Having guests on top of the usual stress of the holidays can be taxing. Take time for yourself. Fireworks are fun and mesmerizing but careless handling could end in painful and serious injuries. If you plan on entertaining friends and family with fireworks take the following precautions. Only adults should handle and light fireworks. Buy only legal fireworks and carefully read and follow the instructions on firework packaging. Keep a bucket of water and a hose nearby in case of accidents. Direct fireworks away from spectators and your home. 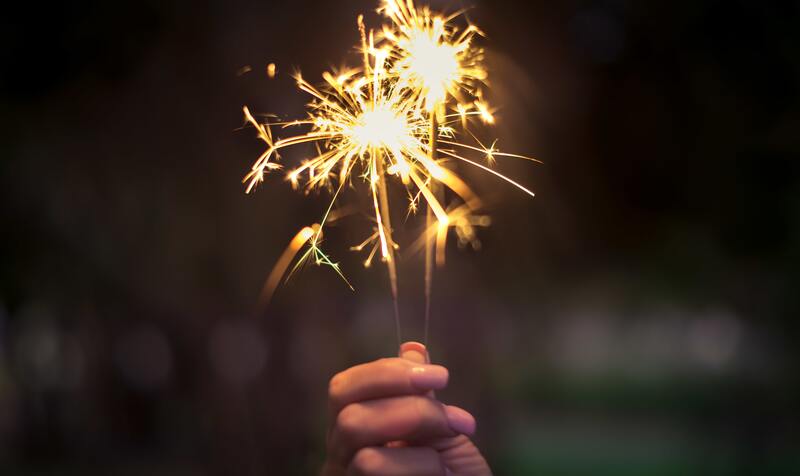 Don’t hold fireworks in your hand or have any part of your body over them while lighting. Wear eye protection. Light one firework at a time, and never relight a “dud”. Monitor the little ones AT ALL TIMES. If kids want to hold a sparkler make sure they’re wearing gloves. Never hold a baby in your arms while you are holding a sparkler. Think about your pet. Animals have sensitive ears and can be very frightened or stressed by fireworks. Keep pets indoors to reduce the risk that they’ll run away or get injured. Nothing spoils good cheer like searching for a lost pet or an emergency trip to the vet. Follow these tips to keep the holiday season from becoming a nightmare for you and your pets. Keep people food away from pets. If you want to share holiday treats with your pets, make or buy treats formulated just for them. 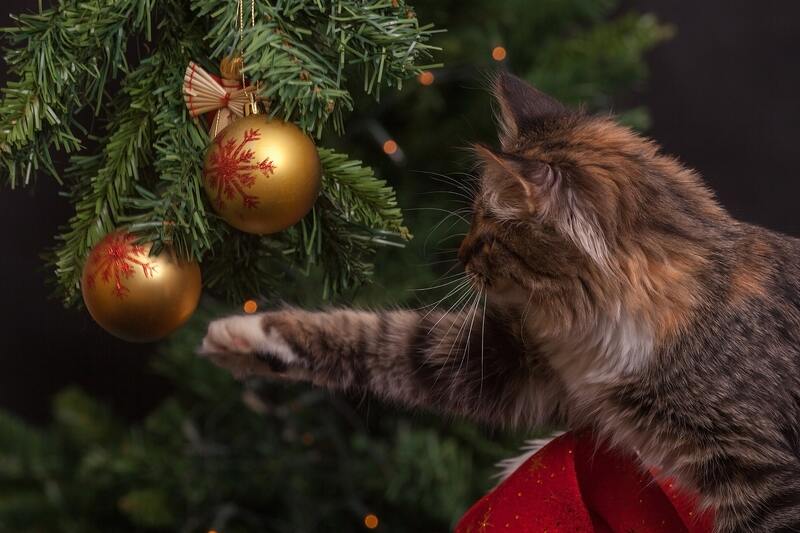 Christmas trees can fall over if pets climb on them or try to play with the lights and ornaments. Make sure your tree is secure and consider a barrier to keep pets away. Electric lights can cause burns if pets chew the cords. Keep cords corralled and out of reach. Wrapping paper and ribbons pose a choking hazard and can cause serious damage to a pet’s insides if ingested. Pets that are nervous around visitors should be put it in another room or a crate with a favorite toy. Make sure guests – especially children – understand that this is your pet’s home too and that they need to respect the pet’s spaces. Make sure you watch pets closely when people are entering or leaving your home. While you’re welcoming guests and collecting coats and gifts your pet may sneak out the door and become lost. We’ve covered a lot of ground in this post. Here are just a few more tips we ran across that you may not have considered. 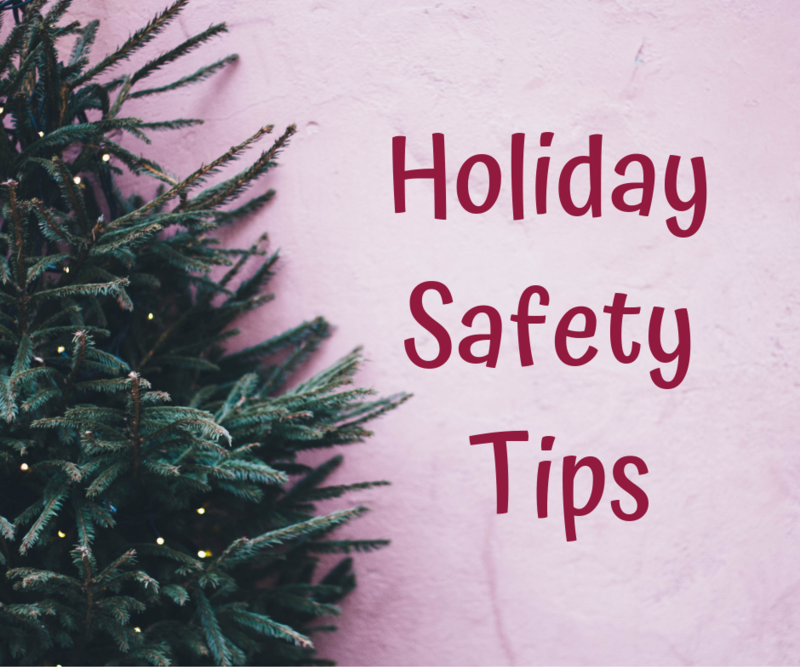 When putting up decorations, use a step stool or ladder to reach high places. Make sure you have a buddy close by in case of a fall. When preparing meals, make sure you wash your hands, utensils, sink, and anything else that touches raw meat. Beware the stuffed turkey. Designate a sober driver or call an Uber! If you’re driving long distances make sure you have your tires checked (including your spare) and oil changed. Keep an emergency roadside kit handy. Don’t forget to bring a phone charger. Be mindful of the gifts you purchase for young children. Avoid toys with small parts and magnets which can be a choking hazard. Make sure you’re purchasing toys that are sturdy and well manufactured (avoid the super cheap toys). From all of us at Holly Roca Real Estate, we want to wish you a safe and happy holiday season filled with love, laughter and beautiful new memories!